The church has always been blessed by our differences. Churches of all sizes have something to offer. I’ve even been told I need to be less accommodating to big churches. But it’s not an accommodation, it’s a reality. Bigger churches do great things that small churches can’t do, and vice versa. 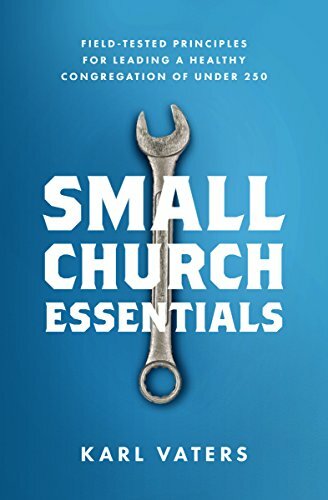 Unfortunately, because of their size, the benefits of small congregations are seldom seen as readily as the benefits of big congregations. So here are a few typical benefits of a healthy big church (I’m using the baseline of 1,000), compared to the corresponding/contrasting benefits of healthy small churches (1,000 people in ten churches averaging 100 each). If you’re looking for a church to worship, serve or lead in, this might be a helpful starting place. 1 church of 1,000 may have well-crafted sermons, but 10 churches of 100 will have more person-to-person pastoring. 1 church of 1,000 may have better administration, but 10 churches of 100 will have more volunteers. 1 church of 1,000 may have fewer financial problems, but 10 churches of 100 probably have more givers. 1 church of 1,000 is likely to have a more famous pastor, but 10 churches of 100 are less vulnerable in the case of a single pastoral failure. 1 church of 1,000 may have higher quality musicianship, but 10 churches of 100 usually have more people singing along. 1 church of 1,000 may have a great Christian Education facility, but 10 churches of 100 typically have a better student-to-teacher ratio. 1 church of 1,000 may have a lot of small groups, but 10 churches of 100 may already be offering the benefits of small groups on Sunday morning. 1 church of 1,000 may have more paid staff, but 10 churches of 100 will likely have more lay leaders. 1 church of 1,000 may have more consistency, but 10 churches of 100 will have more variety. 1 church of 1,000 probably has a stronger online presence, but 10 churches of 100 may have stronger in-person connections. 1 church of 1,000 may have programs for every age group, but 10 churches of 100 will have more ages worshipping together. Healthy congregations of all sizes gather to worship, teach, preach, celebrate, connect, disciple and reach out with the love of Jesus. They all have something to offer. They just do it differently. Not worse, not better. Just different. And the church has always been blessed by our differences.